Signed : P. MARCION – Pierre MARCION who worked in Paris from 1798 to 1817. Height : 38 1/4 inches / Width : 67 inches / Depth : 20 1/4 inches. 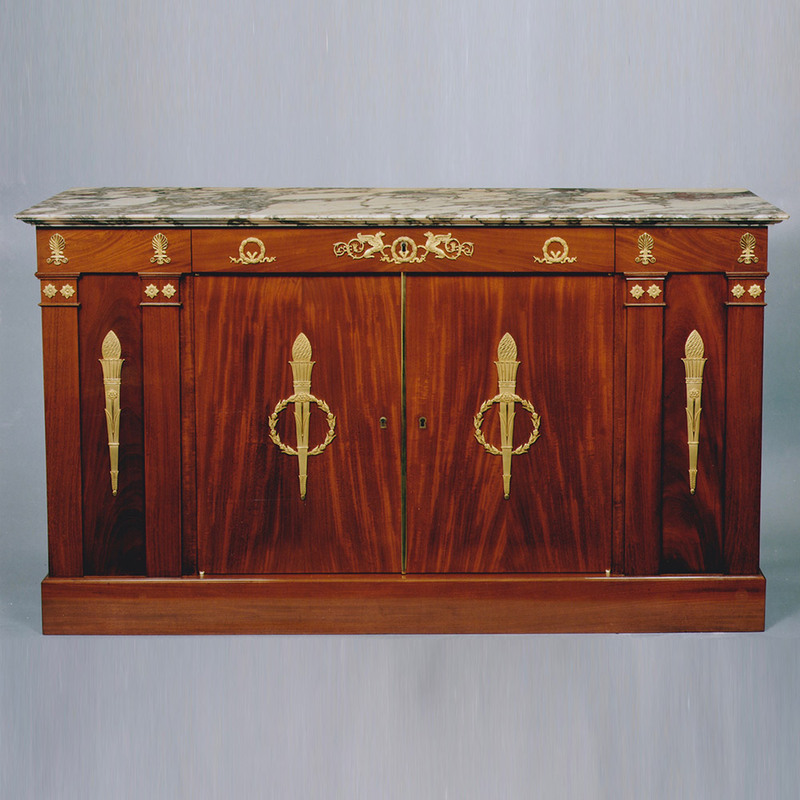 Pair of Empire mahogany and mahogany veneer side cabinets, opening on the front by two doors surmounted by a drawer and flanked by pilasters. Ornamentation of chiseled and gilded bronze: Ormolu mounts : perforated palm leaves, flowers, laurel wreaths, clawed griffins and stylized torches. Violet Breche marble top.